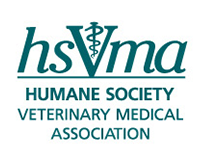 Dr. Block is Past-President of the Rhode Island Veterinary Medical Association and the Society for Veterinary Medical Ethics, and a past delegate to the AVMA House of Representatives. He is a currently President of the Board and a long-time member of the Humane Society Veterinary Medical Association. He is a founding Board member of the Rhode Island Companion Animal Foundation, a non-profit that provides subsidized veterinary care to low-income pet owners. He recently joined the Board of Foster Parrots, one of the largest Psittacine rescue and housing organizations in the country.Dr. Gary Block received his DVM in 1991 from Cornell University. Following graduation he completed a small animal internship at Angell Memorial Animal Hospital and an internal medicine residency at Purdue University. He is board-certified in small animal internal medicine. In 1997, he obtained a Masters degree from Tufts University in Animals and Public Policy with his thesis focused on the teaching of veterinary ethics. Dr. Block, along with his wife and fellow HSVMA member, Dr. Justine Johnson, are co-owners of Ocean State Veterinary Specialists, a 45-doctor emergency and referral hospital located in Rhode Island. He has lectured locally and nationally and published papers in veterinary medical journals as well as articles and editorials relating to animal welfare.